Thomas Jefferys, “Africa,” pub. 1772. 1 map: col.; 19 x 25 cm. © George A. Smathers Libraries, University of Florida. All rights reserved, Board of Trustees of the University of Florida. Richard Holmes’ chapter on “Mungo Park in Africa” fits rather uneasily within the rubric of The Age of Wonder and thus illustrates the some of the shortcomings of the book’s popular history. Holmes presumably includes Mungo Park’s 1794 voyage to explore the Niger River in his book because the expedition was promoted by Joseph Banks, the president of The Royal Society and the figure whose encouragement of a wide range of scientific endeavors unifies the narrative of The Age of Wonder. Yet Banks’ motives for supporting African exploration were complex and Holmes’ concept of wonder seems particularly insufficient in accounting for the European exploration of Africa during the era of the abolition debates (and slavery, not incidentally, is almost unmentioned in Holmes’ account). Or rather, I argue, following the scholarship of Dane Kennedy, Mary Louise Pratt, and Nigel Leask, what is at stake in the English exploration of Africa at the turn of the nineteenth century is precisely the reconstitution of Africa as a potential subject of wonder. 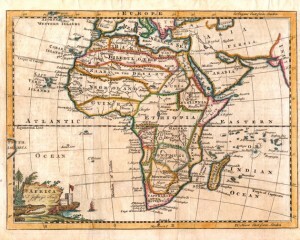 In other words, Africa did not simply exist as a place in which the English could wander and experience wonder; instead Africa had to be specifically defined as a potential subject of wonder in scientific terms, and this redefinition took place in the context of a shifting global economy of slavery and commerce. My point here is thus to highlight the interrelated discourses of slavery, commerce, and sentiment that shaped English “scientific” pursuits in Africa and I suggest that these interrelated discourses are not fully accounted for in Holmes’ chapter on Mungo Park. Why does it matter that we account for slavery and commerce when telling the story of scientific discovery in Africa? In 1881 Sir Clements Markham described the work of Joseph Banks and the Africa Association as supposedly motivated by the realization that “almost the whole of Africa was unvisited and unknown.” How could anyone claim that after more than a century of English slave trading and other commercial enterprises in Africa, it was “unvisited and unknown” to Banks and his colleagues? Holmes’ biographical narrative merely recapitulates Markham’s late Victorian view of Africa exploration. Instead the story of Banks and Mungo Park should elucidate precisely when and how this view was constructed, that is, how the English came to see Africa as a vast unknown continent awaiting their discovery rather than the scene of polities and markets to be exploited, as Africa was seen throughout much of the eighteenth century. Throughout the eighteenth century, the English had access to a range of knowledge about Africa through accounts from classical sources, Arab and European traders, and European and African slave traders. Most of this knowledge, in fact, was generated via the slave trade. One can see detailed mid-century maps of Africa that testify to this knowledge, maps showing towns and political boundaries as well as geographical features. Yet the origins of this knowledge in the slave trade eventually disqualified it as legitimate knowledge; by the nineteenth century the African map as published in England was empty, awaiting the properly verified information gathered by English men of science. Holmes writes that “to the Europeans nothing was known for certain” of, for example, the route of the Niger River before Park set out (212). I argue here that the point is not that “nothing was known” but that by the late eighteenth century such knowledge was not available to Europeans on terms they would recognize; it was not “certain,” not vetted by scientific information-gathering. In between the period when the African map was filled in with slavery-derived detail and when it was emptied out awaiting scientific knowledge, the English became interested in Africa as a potential scene of commerce. As the abolition movement gradually gained strength in England, several prominent abolitionists promoted the commercialization of Africa as an economic alternative that would supplant slave trading for English merchants. This involved reconceiving of “Africans as a market rather than a commodity.” Holmes briefly notes (but does not explore in depth) that the exploration of Africa by the British was promoted not merely for scientific purposes but for commercial ends. The Association for Promoting the Discovery of the Inland Districts of Africa (founded in 1788 by Banks and others), as its name indicates, figured Africa as a continent structured by politics, comprising “Districts” which could be reached by the English and opened to trade. Mungo Park’s orders were “not only to locate the Niger, but… to ‘visit the principal towns or cities in its neighborhood, particularly Tombuctoo and Haussa.’” As a prominent member of what became known simply as the Africa Association, Banks was well aware of the commercial aims of its economic expansionist members; this is especially striking since elsewhere in The Age of Wonder Holmes argues convincingly that Banks resisted scientific endeavors that were combined with commercial purposes, such as the French ballooning projects or Thomas Beddoes’ Pneumatic Institute. Indeed, as Banks described the mission of Park’s second expedition, its linked commercial and proto-imperial/colonial ends were utterly clear: Banks writes “I have little doubt that in a very few years a trading Company might be established under the immediate control of the Government, who… would govern the Negroes far more mildly, and make them far more happy than they now are under the Tyranny of their arbitrary Princes … by converting them to the Christian Religion … and by effecting the greatest practicable dimunition of the Slavery of mankind, upon the Principles of natural Justice and commercial Benefit” (Holmes 222-3). 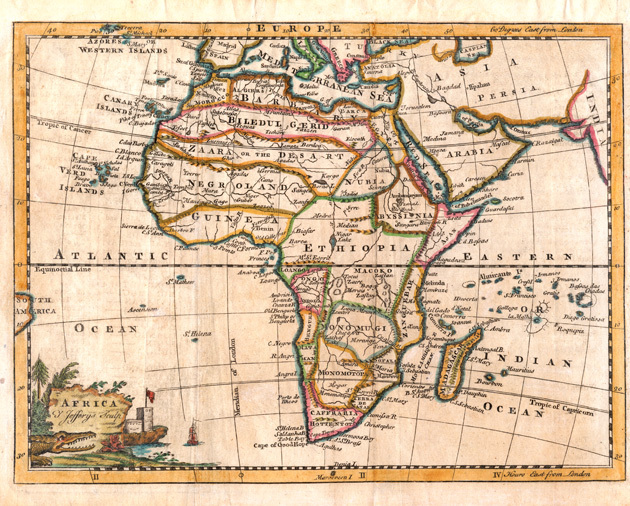 Thus, the exploration of Africa will make possible the conversion of Africans to Christianity, the improvement of pre-existing African governments, and the dimunition of slavery, all of which will be due to the “commercial benefit” of the trading companies that the English will establish in Africa. There is no mention here of abstract scientific knowledge as a potential outcome of the expedition. Yet “the idea of a heavily populated African interior with established cities and states, commercial networks, and markets for British goods” seems contradicted by Banks’s description of Park’s endeavor elsewhere when Banks writes that “it is by similar hazards of human life alone that we can hope to penetrate the internal face of Africa” (Holmes 211). In this strange formulation, Africa is not a political zone, a populated continent of “Districts” and cities but a topographical construct that has a penetrable “internal face.” I think this must be a “face” like a mountain “face,” although I am not entirely sure I understand Banks’s figure here. Regardless, this image of Africa is unpeopled, non-political, topographical, subject to the classic masculine eighteenth-century language of scientific discovery – “penetration” into nature’s unknown realms. Mungo Park’s best-selling account of his first expedition, Travels in the Interior Districts of Africa (1799), describes Africa in political terms with that key phrase “Districts of Africa” in its title, but it also performs significant work in the transformation of Africa in English discourse from a potential commercial zone to blank space penetrable by science. Park’s narrative does this not by detailing scientific knowledge generated by his expedition. Instead Park’s account is a sentimental narrative of a man of feeling wandering in a sublime environment. The wonder he experiences as his eye is “irresistibly” caught by “the extraordinary beauty of a small moss in fructification” reconstructs an Africa that was still in part (even for Banks and those funding his expedition) a zone ripe for economic exploitation also as a space for the heroic achievement of British men of science in the nineteenth century (Holmes 219). Mary Louise Pratt. Imperial Eyes: Travel Writing and Transculturation. New York: Routledge, 1992. Nigel Leask. Curiosity and the Aesthetics of Travel Writing, 1770-1840. New York: Oxford, 2004.